Included in Q's "Best Best Of... Albums Of All Time" - "...Love Queen's pomp or loathe their nutty excesses, you can't ignore them, not in this quantity. And not a soul in the world does not have a favorite here." Producers include: Queen, Roy Thomas Baker, Mack, David Bowie, David Richards. Includes liner notes Jim Jenkins and Jacky Smith. Liner Note Author: Jim Jenkins. Unknown Contributor Roles: John Deacon ; Roger Taylor ; Brian May; Freddie Mercury. Queen began life in 1972, formed by guitarist Brian May, drummer Roger Taylor, and bassist Tim Staffell. When Staffell left, May and Taylor elected to form a new band with vocalist Freddie Mercury. Bassist John Deacon completed the lineup. Their self-titled debut fused 70s glam and late 60s heavy rock, and their second album fulfilled their early promise. SHEER HEART ATTACK consolidated their commercial standing. 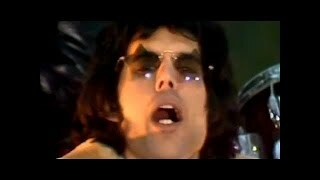 In 1975, they completed the seven-minute mini-opera "Bohemian Rhapsody." The startlingly unique track topped the UK charts for an astonishing nine weeks. The attendant album, A NIGHT AT THE OPERA reached number 1 in the UK and hit the US Top 5. A DAY AT THE RACES continued the bombast, the catchy "Somebody To Love" and anthemic "We Are The Champions" both reaching number 2 in the UK. Queen varied their formula with the 50s-style "Crazy Little Thing Called Love" and the disco-influenced "Another One Bites The Dust." In late 1981, Queen were back at number 1 in the UK with "Under Pressure," a collaboration with David Bowie. In 1991, INNUENDO entered the UK charts at number 1. Sadly, the group's career effectively ended with the death of Mercury on 24 November 1991.